The Puffco Peak Travel Pack keeps your Puffco Peak protected and safe during your travels. 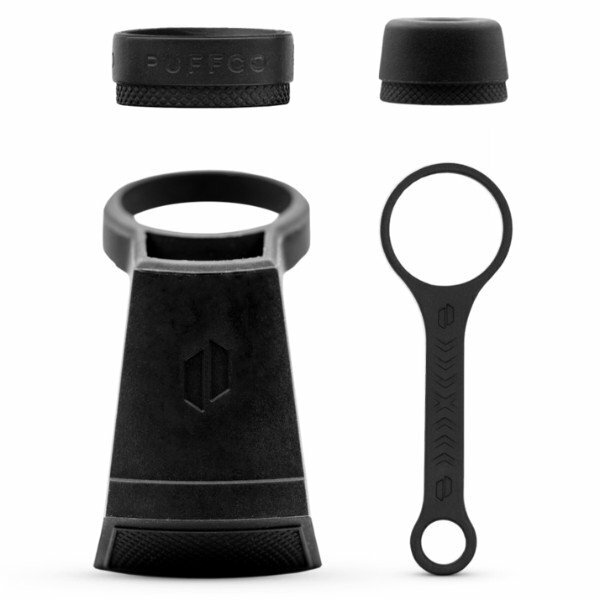 Take your Peak everywhere with the Puffco Peak Travel Pack. The travel pack ensures that your vaporizer will be protected and safe, even when it is filled with water and ready to use. Made from 100% food-grade silicone and dishwasher safe. Available in the colour black. Carb cap with tether so it won’t fall off. Splash cap to keep water from splashing. Offers extra protection from falls. Small "backpack" that can store dab tools and cotton swabs.